With a closed palm, we warn with our fist . . .
Today I read Mark through John’s eyes. Only the Gospel of John mentioned palm trees. Mark and Matthew were branches, with no palms allowed. And Luke? Well, Luke didn’t know, didn’t care, or got the memo late about the greenery. There were no palms in the third gospel, just cloaks scattered on the ground when Jesus entered Jerusalem. Palms, like other elements in the Gospel accounts of Jesus’ ministry, were symbolic. For example, the bread and wine shared during the “last supper” were common parts of a meal that became essential symbolic elements. Don’t forget the iconic gold, frankincense, and myrrh in Matthew’s version of Jesus’ beginnings. After Bethlehem’s gifts, there was the high-in-the-sky symbol of a dove descending. And if your literal-leaning faith prefers to interpret the gold at Jesus’ birth in the clutches of a flesh-and-blood magi or a visible and heaven-sent bird at baptism soaring in the clouds above the Jordan River, at the least we can agree those—and other Gospel events—have become symbolic. In Jesus’ entry into Jerusalem, whether striding on Mark’s cut and spread branches or John’s palm fronds, readers were reminded of the arrival of a king. An earthly king. A king to be revered and respected by all. A king of triumph and victory. The leafy symbolism of the palms was short-lived. In the final days of Jesus’ earthly life, triumph curdled into tragedy. And the victory that rose from the cross was not accomplished by the fists of a world-conquering warrior, but in the pierced palms of a suffering servant. The symbol wilted. The palms become, for me, a reminder of false hopes and hollow human expectations. As someone intrigued by slang, euphemisms, and other linguistic playfulness, I delight in the verbal sleights of hand found in the word . . . palm. Yes, it’s a leafy branch rooted in ancient symbolism. But, with a faithful sidestep away from the Gospel stories, a palm is also an open hand. I’m sure you’re a kind-hearted, honest type and have never stolen anything from anyone. In the slang of the street, you’ve never palmed a watch or a wallet . . . never cleverly taken another’s possession. And yet, what have you (or I) palmed emotionally or spiritually from another? With an open palm, you can turn toward another and make Mr. Spock’s Vulcan salute. With Leonard Nimoy’s recent death, we were reminded of the Jewish rituals and values that inspired that open-palmed and distinctive salute. With an open palm, turned away from another, we can raise a middle finger and tell another to f*** off as we walk away. With an open palm, we can shove another away. With a closed palm, we warn with our fist. With a closed palm, with only the dagger-like index finger jabbing at another, we blame anyone but “me” for the problems of the world or the problems of my life. With an open palm, in anticipation of a handshake, we enact the ancient gesture of showing there are no weapons in our hand. When gripping the curved metal of a pistol’s trigger, we can shoot another with the squeeze of a few muscles and tendons in the palm of a hand. 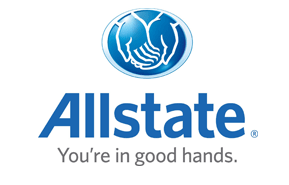 With an open palm, we, like the State Farm Insurance agent, can support another in a time of crisis. Once there were palms gripping branches. They waved them in the air. They spread them on the ground. With palms cupping lips, they shouted alleluia and welcomed the conquering hero. I wonder about those hands, those open and closed palms on that long ago Sunday. 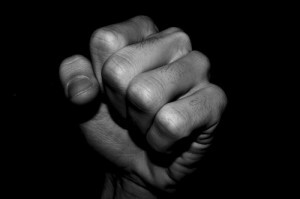 Were they the same hands soon to grasp stones and clubs, becoming a threatening crowd that demanded the death of Jesus? What about the raised fists—and closed palms—that accompanied the cry of “Crucify him?” What about the palm that wrapped around a hammer and drove nails into flesh? How, faithfully or far from faithfully, will we open or close our palms in the week called holy? How, before and after Easter, will we use our palms to caress rather than crush another? I am really enjoying your words…thanks for sharing!! Mindy! Thanks for letting me know! I read somewhere tha5 Oscar Wilde while on board a ship taking him to the U.S.heard a fellow express something so well that he admitted aloud that he wished he had said it. One of his traveling companions who knew him well consoled him thus: “Don’t worry Oscar, you will.” On Palm Sunday in a tiny church in the deep south, we shall ask that you and your work prosper.